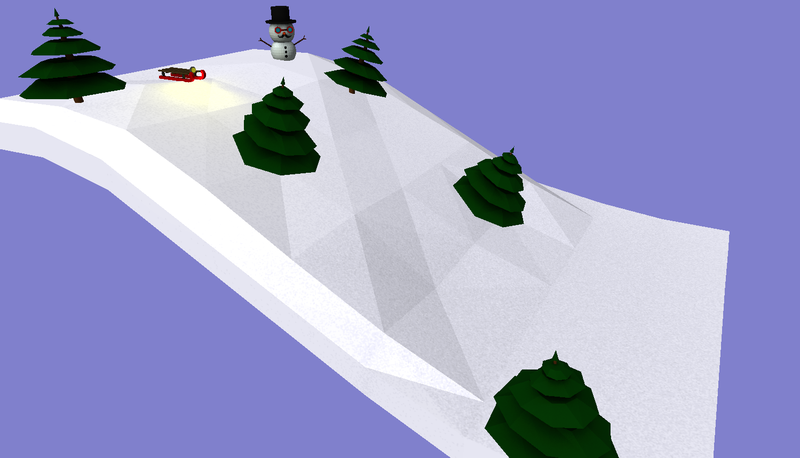 A small demo scene I created in OpenGL with 3D models I created in blender. You can download the report pdf for a detailed description of how the effects in the scene have been created and there is also a section on possible improvements. 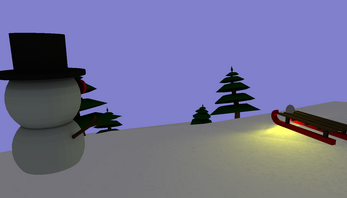 Lighting is calculated using the Phong model. A directional light lights the entire scene and the headlight on the sledge is a point light. 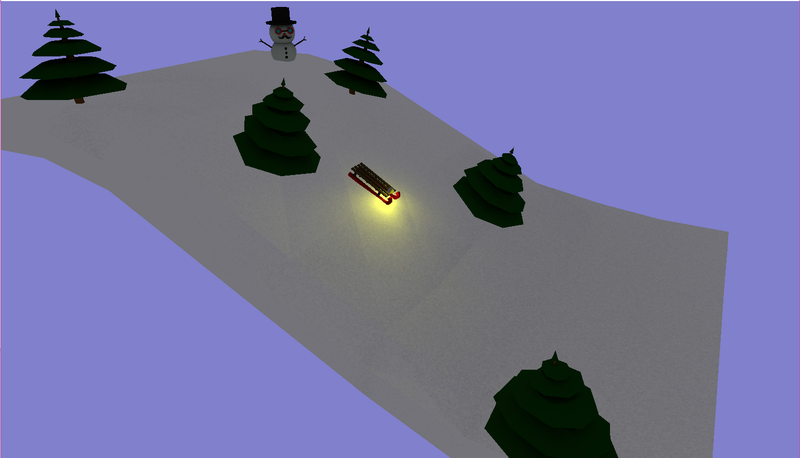 Toggleable directional light flips the scene between day and night. Camera movement can be enabled allowing the camera to fly around the scene in first person.